It may have been the legendary Libuše who determined the hillock of Castle district as a place for construction of the future Prague Castle, but it as well may have been the prince Bořivoj or any other member of the Premislid house; the choice was by all means wise. It could not be actually better. 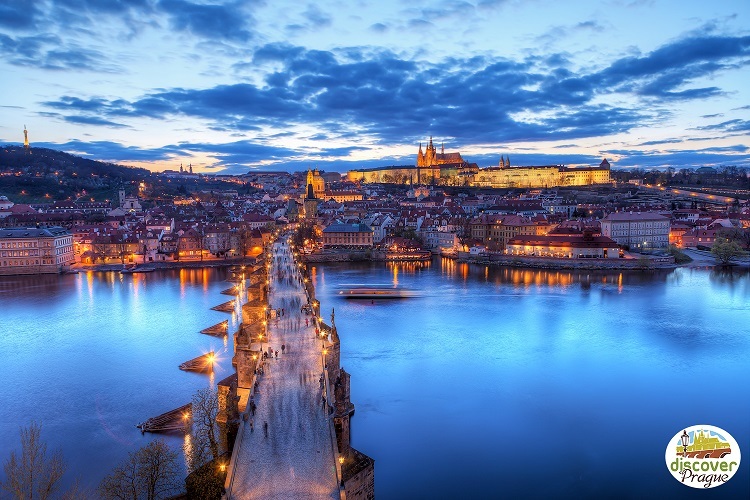 A far-stretrching knoll, guarded by rocky scarps from three sides, the wide flow of river Vltava and a swift stream of Brusnice underneath it, that was a place safe enough and clearly pleadable. Protection is provided by the seat of nature was enforced by a ditch on the west side and by surrounding wall of thick stakes, and thus the hillfort could be considered impenetrable. That was, however, only at the times a thousand years ago when the fort was spread over a small tip of the eastern hillside and around it grew deep woods. The course of centuries that came changed the look of the land and the fort had to change with it. The power of the House of Premislids was growing, the significance of the fortification was increasing and over the years the castle turned into a seat of glorious kings. Since the foundation of Prague Castle up to the 17th century, the castle only had one ward, as it is in almost all the Medieval castles. Today the castle comprises three wards. The first one is the youngest, the third one — the most significant and most interesting — is the oldest one. When the grounds were being prepared for the youngest of wards in 18th century, the oldest one had already passed nine hundred years. On the first ward you can find a path to the Castle. Next to the entrance and underneath the massive statues of giants fighting with each other stands the motionless guard of honour on both sides of the gate –which is unique. The palace which is bordered by the ward from three sides is built in rococo style. Yet, its style reflects the frugality of Maria Therese. The beautiful gate leading into another part of the castle is not of the same style nor age as the rest. It was standing above the castle moat already one century earlier. The architect Paccassi later tastefully framed this renaissance treasure with rococo walls of the Teresian palace. The gate is called the Matyas' gate. Second ward started to be formed in the beginning of the 16th century when the Czech throne already belonged to the Habsburgs. At that time, it was not enclosed by buildings from three sides. The castle moat on the eastern side was already covered up with soil, but the ramparts with towers were still standing there. The remains of one of them can be seen in its place until today. It is the original White tower with origin dating back to the Premislid times. (There is another white tower which is much younger. It stands in the northern part of the fort between the towers Mihulka and Daliborka, and all of them were built under Ladislaus Jagiellon in the 15th century.) The builder under Rudolph II left the first White tower in the masonry of the long wing on the borderline of second and third ward, perhaps out of the respect towards the sovereign who used to watch the stars and cast horoscopes from the tower's gallery. 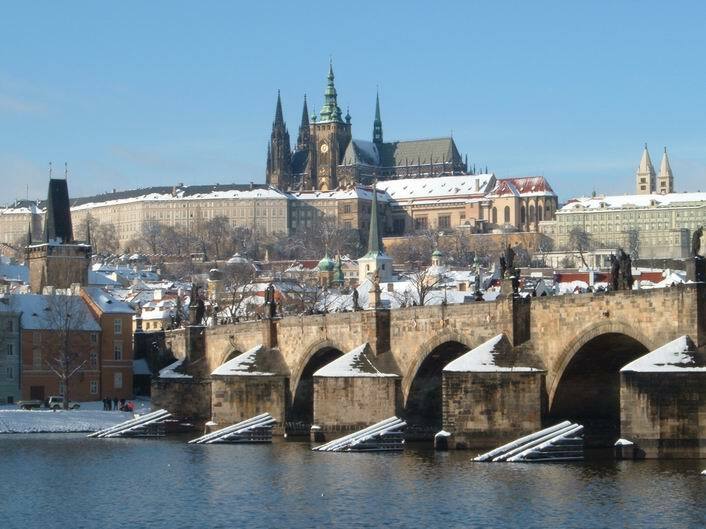 The neighbouring palace with a lookout on Prague was a place where the cranky Rudolph II lived. It was there where art treasures of the whole world were brought and added to the imperial collection. When the treasures were so many that one could not move inside the palace walls, Rudolph II issued an order for adding a storey above the stable on the northern side and reconstructing the grandiose Spanish hall and gallery. Ancient western ramparts and towers, so many times endangered by weapons, were definitively torn down by the pickaxes of workers in the second half of the 17th century. In their place a wing with the White tower walled up inside was erected. When you find yourself in the passageway of the palace, you may tell yourself: I am entering a historic ground of the Bohemian kings' castle. It was here where the power of the house of Přemyslids grew and from here the rulers reigned who then brought power and fame to the Bohemian kingdom. And it was here where both the good and bad decisions about our country were made. Entering the premises of the Prague Castle on Segway, bike or in-line skates is, unfortunately, forbidden. It still does not mean you are not allowed to leave your Segway in front of the gates and go have a look inside. You also need not to be worried, for both the Segway and instructor will be kept an eye on by the guard of honour. If you choose to have a walking tour, the entrance fee, together with comments by a licensed guide, are included in the price. Historical monuments are open daily except 24.12. -Rooms used by the Office of the President of the Czech Republic are open the first Saturday after May 8 as a rule. -When are the Gardens open? The gardens are freely accessible in the summer tourist season. (April 1 - October 31). Gardens of the Prague Castle are there barrier-free entrances? Historical monuments and exhibition halls except towers (Daliborka Tower, White Tower, Powder Tower, Cathedral Southern Tower), exhibition "The Treasure of St. Vitus Cathedral" and defence corridor in the Golden Lane offer barrier-free entrances.